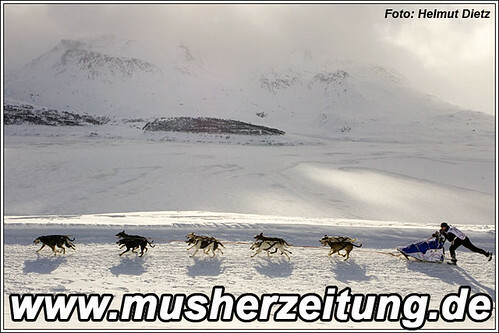 Alpen-Trail 2011: Norwegian musher trio is coming! Alpen-Trail 2011 will see in addition to Alpen-Trail Champion 2009 Marte Heilemann (8 dogs class) also two Alpen-Trail Rookies from Norway: Bjørn Lyng Pederson and Roy Storli (both 6 dogs class). In total the participants list looks rather short. So far 27 mushers are registered. But there are also some more Rookies from Germany, France and Switzerland which is good for each race - but especially for the traditional Alpen-Trail. Within the seasons 2005-2008 Roy competed in the mid distance 6 dogs class. He says, that he was lucky to meet Marte Heilemann to buy his first dogs from her. She also introduced him to the musher scene. Per Olav Gausereide and Elisabeth Edland told him within a short period of time, how to race on high level. Also to selct the right dogs, use the right feeding regime and the right training. He learned a lot and he still sticks to what they told him. All these gave him a "KICK" start right from the beginning with great race results. Important within this period were also Rune and Frode Bakke. 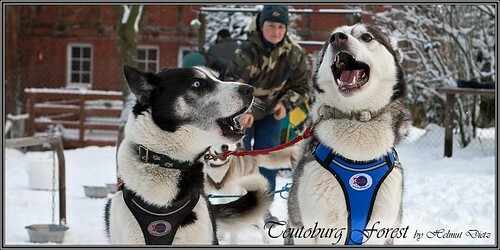 Since 2008 Roy had a break in competing at races, to form a new dog team with good and fast Alaskan Huskies. His goal for the next future is to participate at Alpen-Trail 6-dogs class. It will be interesting to see if the new dogs will perform in the competitive race & field. The results of training during the year and the results of Alpen - Trail will determine the next steps. It could be that Roy will participate at some more mid distance races. It could be also Pasvik Trail. He is optimistic! PS: By the way, Roy is also father of two sons: Oscar and Frederik. The photo was taken 2007 and shows Oscar. He is proud about the medal Roy was winning in Hamar (ESDRA - EC 2007). We've been in Austria, in Switzerland, in Italy in Spain, in France, in Norway, in Sweden, in Alsska, in Finland ... just to see sled dog teams. 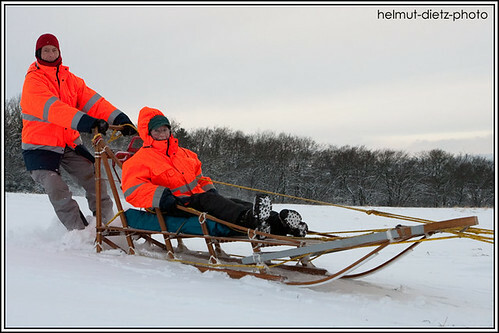 But we've never seen sled dog teams training or racing on SNOW close to our hometown Bielefeld. TODAY WE DID! This is Hannleore Proske and her Siberian Husky - lead dogs Angus & Late short before taking off in Raden, where Manfred and Anneliese Witschel - Braun are living. But also Lothar, Andre and Birgit were in Raden - and of course their dogs! What a great Saturday morning - together with mushers and sled dogs! helmut-dietz-photo: Hanne and her lead dogs Angus & Late. Statt Langtaufers - Vallelunga haben wir am Wochenende 6 Siberian Husky - Teams beim Training besucht. Quasi um die Ecke. Mehr dazu hier: Achtung, Huskies kommen! - Im Auetal! helmut-dietz-photo: "Shake Hands" auch beim Überholen (La Grande Odyssee 2010). 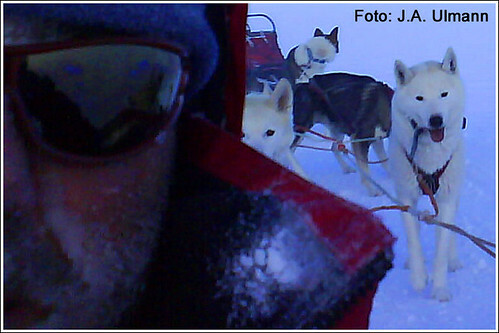 Norwegians are tough guys - but fair: Jo Are Brennodden & Gerard Benoit (with Robert Sörlie's Dog Team). 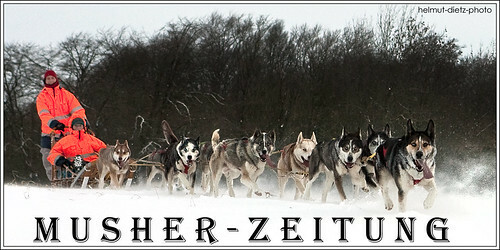 Gerade haben wir hier La Grande Odyssee gelesen, dass Ketill Reitan und Jo Are Brennodden beim La Grande Odyssee starten und noch erfahrene Dog Handler suchen. Englischkenntnisse (oder Norwegisch) sind erforderlich. Benoit Gerard originally wanted to race the short Femundlopet, but had to quit due to an injury (knee). 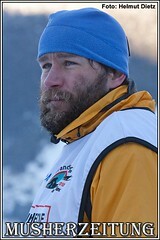 We'll see him there - but not as participating musher. 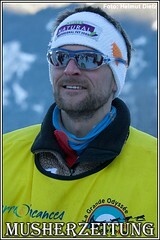 helmut-dietz-photo: Benoit Gerard at La Grande Odyssee 2010. Husky-Presse: Aus dem Weg, Huskies auf WM-Kurs! 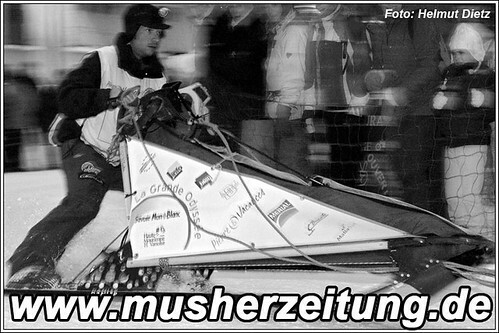 helmut-dietz-photo: Anneliese & Manfred waren mit ihrem Husky-Team in der Schaumburger Zeitung. Am Mittwoch, 22.12. 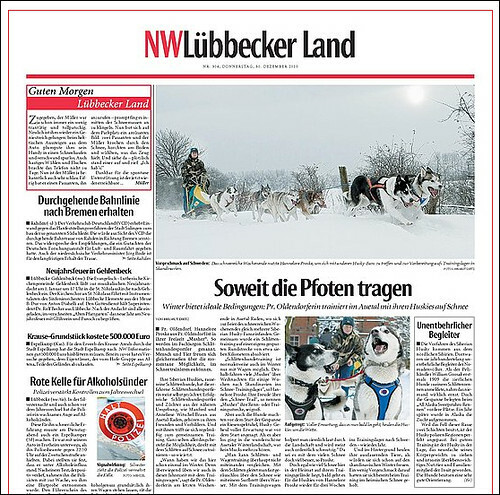 Huskies in der Schaumburger Zeitung. ... from the other side of the world: Leandro Bonaka Flores (F600), Argentina. Rookie at IFSS World Sled Dog Championship 2011 - Femundlopet, Norway. ¡buena suerte! 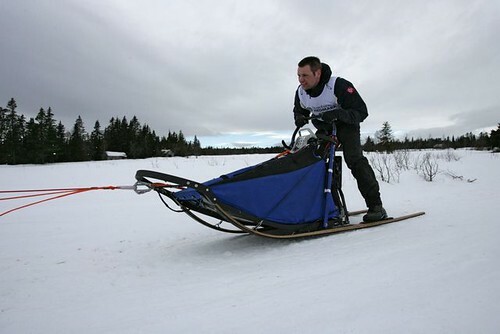 Leanrdo had time enough in summer for snow training, watch the recording dates of his videos! helmut-dietz-phto: Emil Inauen & Radek Havrda, the favourites for LGO 2011? helmut-dietz-photo: Jiri Vondrak another LGO 2011 favourite musher?! 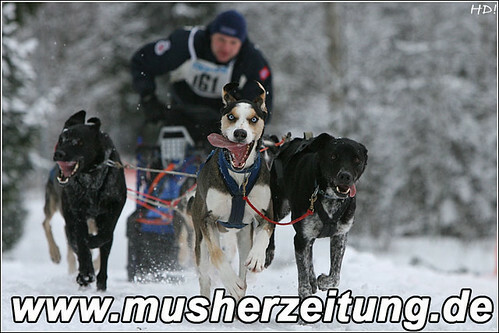 No matter if first or last at the result list of LGO 2011 at the end of the race, it will be a great challenge for all mushers and all dogs to participate and cross the finish line. helmut-dietz-husky-presse: die Neue Westfälische berichtet über unsere Nachbarin: Hannelore Proske aus Preußisch Oldendorf. Klick' auf's Foto, um den Artikel zu lesen.